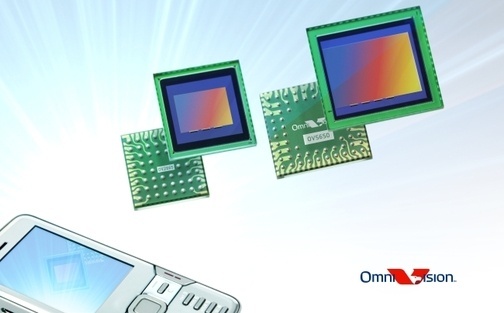 OmniVision, the famous camera sensor manufacturer has just unveiled a new camera sensor product targeted for next generation mobile devices that emphasize on great multimedia capability. Named as QV5650, it is claimed to be able to handle 5-megapixel still image besides capturing full HD (High Definition) 1080p video on smartphone devices. As you may aware, OmniVision has been supplying Apple Inc a 3.2-Megapixel camera sensor that can boost up video recording to up to 720p in its latest 3G S iPhone, although it has been downclocked to prolong battery life with proper power management in mind. The QV5650 offers an impressive video capture performance by able to record full HD 1080p media clip at 30 FPS (Frame per second) or the lower HD 720p at 60 FPS. Besides QV5650, there is another similar version named as QV5653 that is targeted for digital and video camera applications. No news on when the end product will be ready for consumer market, both QV5650 and QV5653 will be ramping up for mass production by second half of this year. This is definitely a good move but hope that these chips will be thermally efficient enough to not impacting the device battery life.